GEORGIA. 2017. Orsantia Village. 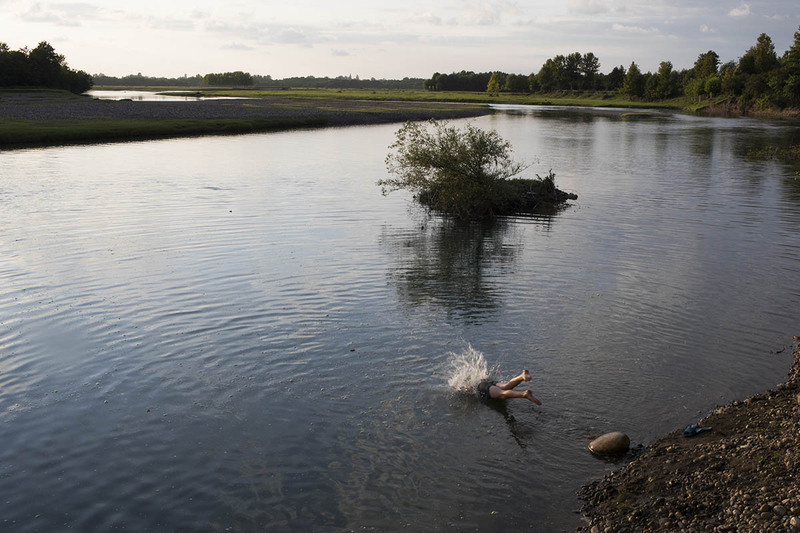 A child takes a swim in the Enguri River, which is used as the borderline of the Russian-supported separatist territory of Abkhazia. The river was previously known as a good location for safely crossing into Abkhazia, but recent installation of barbed wire fencing and surveillance equipment has stalling those crossings.